Products of the domain : Château Pape Clément. Château Haut-Brion can legitimately claim the deanity of Bordeaux wines. It is in Haut-Brion that the perfection of wine-making techniques in the 17th century allowed the development of specificities, both in terms of the terroir and in terms of the cost. Nevertheless the Château Pape Clément can claim an indisputable anteriority since it was created in 1300 by Bertrand de Goth, Archbishop of Bordeaux. Six years later, this ecclesiastic was elected pope and named himself Clement V. He continued his crusade in favor of wine during his installation in Avignon. The vine spread in the Comtat Venaissin. It is also to him that we owe the Chateauneuf of the Pope. His estate in Bordeaux came back to his successor, Cadal Arnaud de Canteloup, and the wine took the name of "Pape Clement". While Château Haut-Brion is not yet born, the reputation of Château Pape Clément is established: in the first half of the 16th century, did not Rabelais mention the "wine of the clementin"? 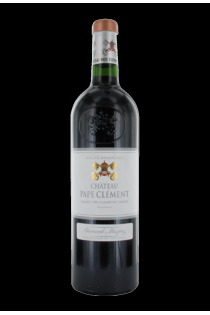 Little did Château Pape Clement disappear. The Cinto family experienced such difficulties that the bank Gomes-Weiss took hold of them while the hail had sacked all the vines. A man, Paul Montagne, to avoid the subdivision of the land bought the property in 1939 and replanted the vineyard. In his days, his daughter and son, Léo Montagne, animate the SARL which perpetuates the work of their father. Two kilometers after Château Haut-Brion, on the 650 road in the direction of Arcachon, a sign announces the Château Pape Clément. Between 35 and 45 meters of altitude, a rump of gravels a little finer than those of its illustrious neighbor hosts the traditional Bordeaux grape varieties. The grape variety is not entirely classical since the Cabernet Franc is absent. The size used is that used in the Médoc, the Guyot double. The exploitation of a classic and proven wine-making technique, combined with a barrel breeding renewed every year, perfectly matches the wines sought and obtained. M. Clavé, director of the Montagne establishments, remarked that the Château Pape Clément is a wine that can be drunk quite quickly, whether the vintage is prestigious or whatever. However, the longevity of the wine is obviously a function of the quality of the vintage. It is a paradoxical wine because it is virile, robust, colorful and not requiring a long wait before it can be consumed. 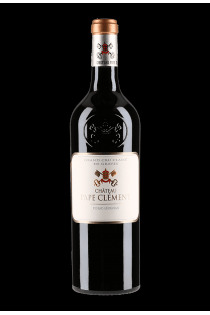 A second wine was born: the Clementin of the Château Pape Clément. Esprit de Chevalier - 2016 - Château Pape Clément. Pessac-Léognan Cru Classé de Graves - 2007 - Château Pape Clément.